Ever since early man first looked into the sky, humanity has recognized the influence and power of the full moon. The full moon affects both body and mind. Just as the gravitational pull of the moon directly influences ocean tides, our bodies that are mostly made of water also feel the effects of lunar activity. In addition, the high vibration of full moon affects our mind and emotions, often raising our sensitivities and triggering emotional outbursts. Since February is often the month where there is the most snow in North America, the full moon was called the Snow Moon. 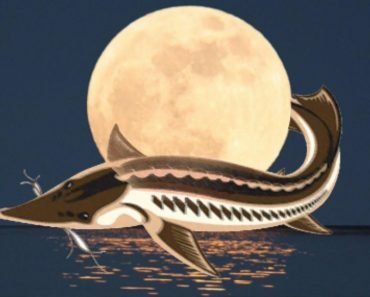 It was the time when stored foods began to run out and hunting was difficult, therefore it was also called the Hunger Moon. For the Cherokee, it was called the Bone Moon to indicate they would be chewing on bones to survive. It was also called the Little Famine Moon for the same reasons. 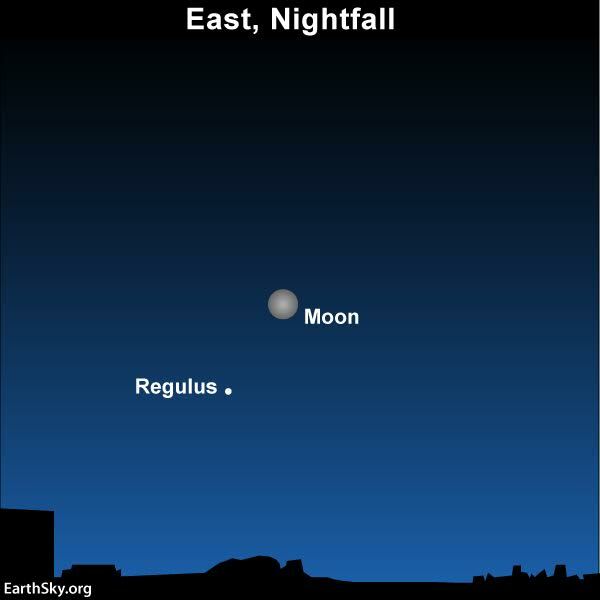 The prime moment of full moon occurs at 0:33 UT on February 11. To remind us of the continuous balancing of Mother Earth, the Southern Hemisphere experiences opposite weather patterns. While the north is in the middle of winter, the south is in the middle of summer. This month the full moon is called the Grain Moon, Red Moon, Corn Moon or Barley Moon. In China spring arrives earlier than in North America. 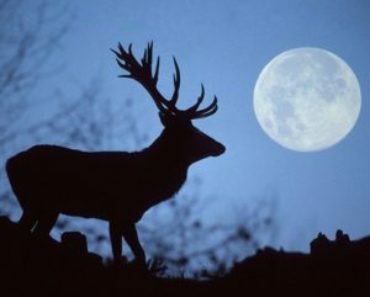 As a result, this month sees the Budding Moon which indicates a time when buds appear on trees. Once again the circle of life moves forward with growth. There is also a penumbral lunar eclipse this month. 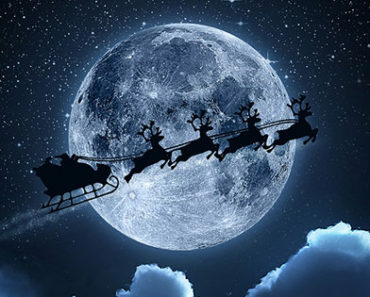 Beginning Friday, February 10 at 22:34 UT. The maximum effect of the eclipse occurs at 0:44 UT and will be best seen in Europe and Africa. Unlike a full eclipse, a penumbral eclipse occurs when only a small part of the moon is covered by the earth’s shadow. 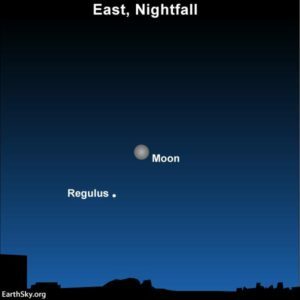 The star near the moon on eclipse night is Regulus, sometimes called the Heart of the Lion, brightest star in the constellation Leo. The lion is a symbol of courage, strength and mastery of emotions. While the power of Leo will stir things up, there is the opportunity to step into your power. The next lunar month could be challenging or exhilarating, depending upon how YOU walk forward. Energy is already high around the world and many people are feeling it. On the surface, doubts and fears have been amplified due to current events. Even though all that has happened is primarily talking, the words being used make people nervous. Beneath the surface view of current events, a lot more is going on. The Schumann Resonance is a measurement of planetary vibration in the electromagnetic field and recently it has been higher than ever before. While previously the resonance was consistently averaging 7.8 hertz, in recent weeks we have seen electromagnetic vibration exceed 30 hertz several days in a row. At a subconscious level we all feel this shift and it can awaken many deeper feelings. Add on to the high energy the effect of the full moon, which always has influence, and a lunar eclipse and we have a recipe for change that can be both disturbing and wonderful. 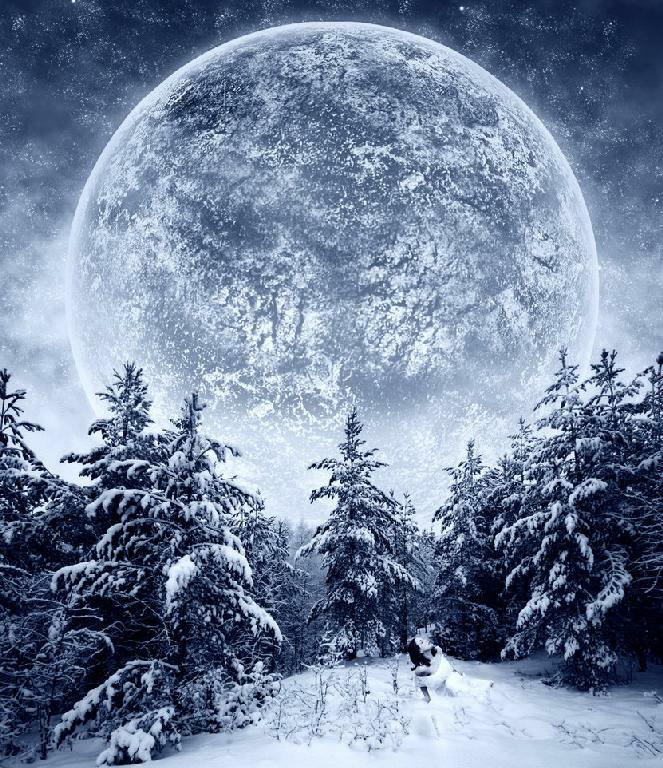 The month of the Full Snow Moon is a time for survival. Live off what you already have. 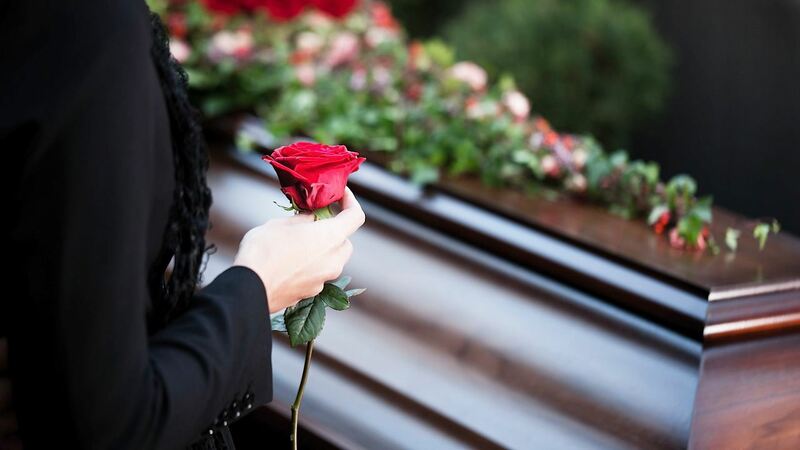 Continue working on incomplete projects; begin preparing for the upcoming spring by planning ahead. 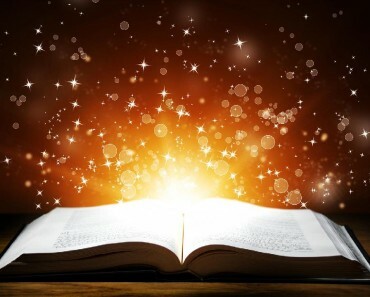 It is a wonderful time to take on activities that you have been thinking about for some time, whether learning a musical instrument, taking up an artistic skill such as drawing or painting, or picking up a book that has been on your shelf forever and actually reading it. While companionship may be sought in cold winter months, this month is also a great time to get comfortable with yourself. 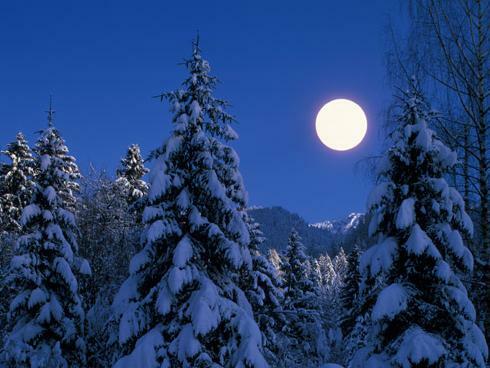 Cherish the retreat created by the Full Snow Moon and use it for self=growth.